Hello Blog Hoppers and welcome to my little corner of the blogosphere. My name is Melissa and this is my happy place. I wanted to say a quick thank you to Michele from Quilting Gallery for arranging all the fun this week! I hope while you are here you will take some time to check out my tutorials page and the Sew Intertwined QAL that I am currently co-hosting with Jenna from Sew Happy Geek. I have a great product reviews page as well. I hope you will take the time to become a follower! Now on to the giveaway! I am giving away a book – Modern Blocks AND 6 fat quarters of Amy Butler’s Midwest Modern Collection. Are you interested? Do you want to win? It’s super easy, enter following the instructions on the Rafflecopter below and I will announce the winner September 4, 2012. I will ship internationally so this giveaway is open to everyone! I like using Rafflecopter, thanks for the giveaway too. Thanks for the chance to win! I hope my entries went through okay. Tough trying to do it from the iPad, lol. I love greens. Andy Amy Butler fabrics. I LOVE these fabrics! And the book looks pretty cool! Thanks for opening it to all. Much appreciated. Thanks for the chance! It’s a lovely prize! Thanks for a sweet give a way. I love dots. These are so wonderful. Ohhh what a cool book too. Wonderful fabrics!!! Thanks for the opportunity to enter your wonderful giveaway! Thanks for a chance to win and I’m finding some great people to follow blogging. You being one of the new ones I’m now following and love the tutorials. I love blog hops! Thanks for joining this one. I find so many interesting blogs! Thanks for offering the generous giveaway. Oh, my, what glorious fabrics! Thanks for hosting! I absolutely LOVE what you’re giving away here! Thanks so much for sharing!! Thanks for the giveaway…it’s beyond gorgeous! With love from Russia! I am a follower! Thank you! Thank you – hope all is well!!!! Ooh fabulous giveaway! Thanks so much! The book looks amazing and the fabric is just gorgeous!! Thanks so much for such a fabulous giveaway. 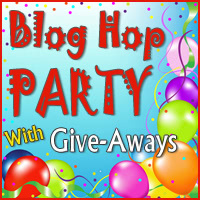 I love Blog hop.Place to meet new blogs and friends. Thanks for the chance to win these beautiful fabrics!! Terrific giveaway – I am a huge fan of Amy Butler fabrics and the ones you’ve chosen are very yummy!! Thanks for sharing a modern quilt book, I want to make modern quilts and the fabric is like candy. Hope things have improved for both you and Anne 😉 Fab giveaway you have going on ! Love everything Amy Butler! The book is pretty awesome, too. Great giveaway — thanks! Great blog !!! The Flying Arrows tutorial was awesome !! You are a wonderful teacher. Now to go learn some more. Thank you ! Beautiful fabrics!!! I would love to win 🙂 but I´m not sure I answered correctely on that funny thing called Rafflecopter! thanks for another great giveaway !! very cute fabric !! So many to thank. I love circles as make quilts with them and also quilt. My latest quilt books are modern mix and Modern Minimal so would love to add Amy’s book to library. I hope I did that right , thanks for the chance . What a great giveaway, I am so excited…hope I win. Oh pretty. I’ve never had the opportunity to use any Amy Butler fabrics. Thank you for the chance to win them & the book. This is the first time I’ve done the Blog party. Thanks for the chance to win the book and nice fabrics. I made 2 entries but I just wanted to let you know that I am a follower and have been involved in the Sew Entertwined along. You are definitely one busy quilter and you certainly have an abundance of energy. So, thank you for the Blog Hop and the great giveways. Oooooh Ahhhhh – love those Amy Butler FQ’s! Thank you!